(White) (1) After finding the Ring, Gollum travels into the Misty Mountains, where he remains from about III 2470 until his encounter with Bilbo Baggins. (2) He follows Bilbo's trail to Dale. (3) Having lost the trail he returns to the Vales of Anduin and wanders for about thirty years, finding himself drawn southwards. (4) On the borders of Mordor, he is captured by Sauron. (Yellow) (5) Released from Mordor, he is captured by Aragorn, who takes him north to the Woodland Realm (6). He escapes and flees southward through the Forest; hiding in Moria, he becomes trapped within the West-gate. (Green) (7) The Company of the Ring enter Moria and Gollum follows them. Passing southward around Lórien he follows them down the Great River until challenged above Sarn Gebir (8). 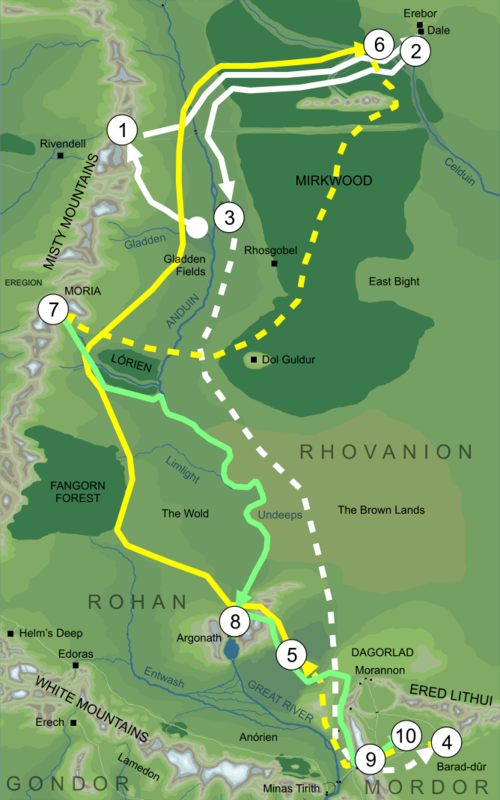 Frodo and Sam later encounter him in the Emyn Muil, and he leads them to Cirith Ungol (9) where he betrays them. (10) He appears at Mount Doom and falls to his death with the Ring. Originally a creature of Hobbit-kind, who came by the One Ring in the River Anduin, where Isildur had lost it more than two millennia before. Coming under its power, he hid away in the Misty Mountains, and was drawn into the events at the end of the Third Age when he encountered Bilbo Baggins, who took the Ring from him. Gollum first appears in the Tale of Years in 'about' 2463, when he murders his friend Déagol and steals the Ring. The birthdate of 2440 given here is an estimate based on the assumption that Sméagol/Gollum would have been about twenty-five years old at this date. His long lifespan of almost 600 years is of course far longer than a Hobbit would normally live, and is due to the effects of the Ring. Gollum's identification as a Stoor is based on Gandalf's words in The Lord of the Rings I 2 The Shadow of the Past, 'I guess they were of hobbit-kind, akin to the fathers of the fathers of the Stoors'. Gollum's people split from the other Stoors in the fifteenth century of the Third Age, when troubled times in Eriador led them to migrate back eastwards across the Misty Mountains, and settle on the banks of the Gladden River.  Original content © copyright Mark Fisher 1998, 2000, 2015. All rights reserved. For conditions of reuse, see the Site FAQ.